CARE St. Louis received a call about a hoarding situation today. 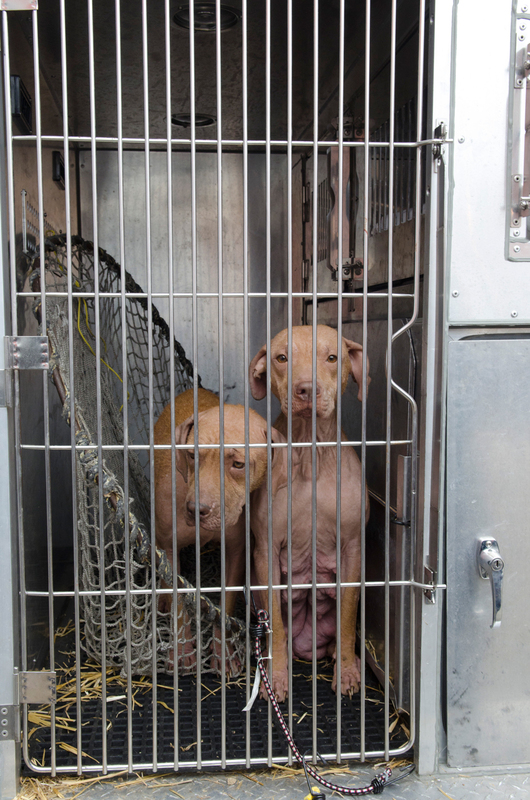 When the Animal Control Officers arrived on the scene, the owner surrendered all dogs on the property. 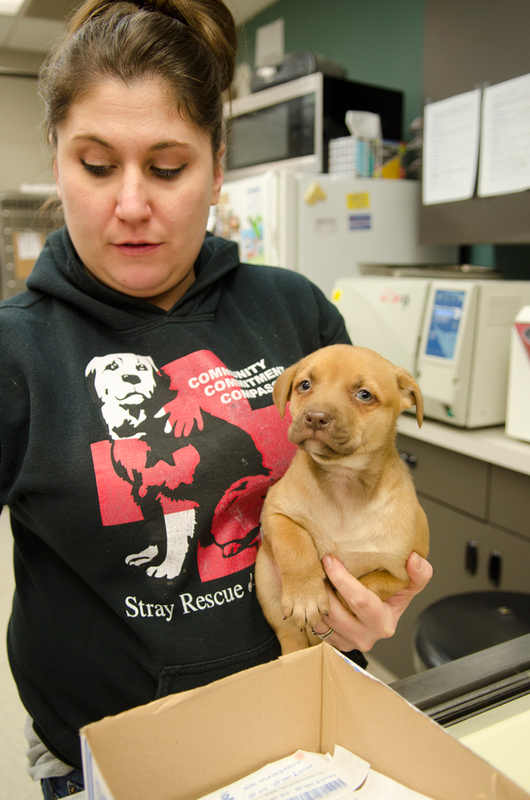 Eight little puppies, two older puppies, and three shy adults were brought to Stray Rescue for medical evaluation. 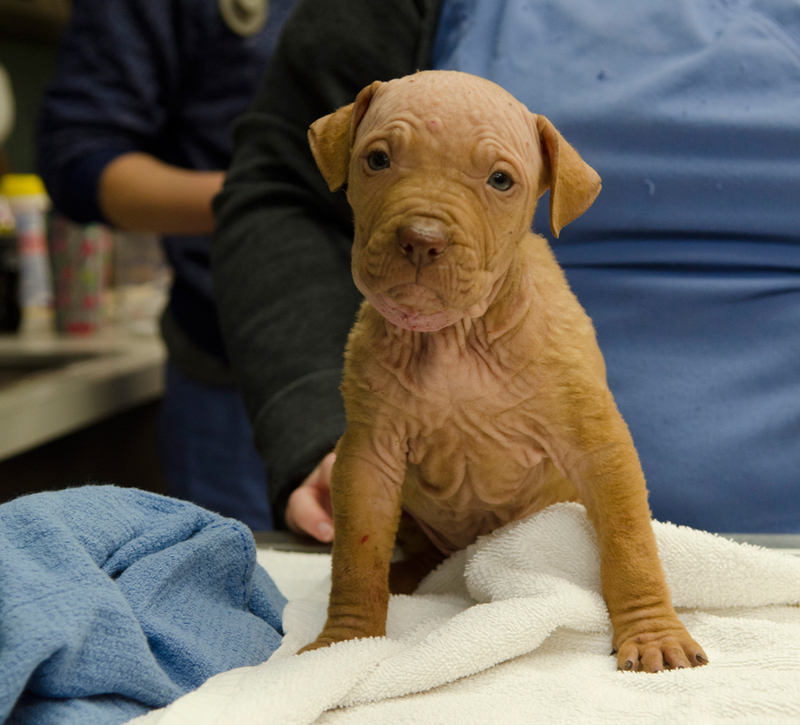 All 13 dogs have skin issues and mange. The older puppies as well as the adults are very shy, scared, and skinny. 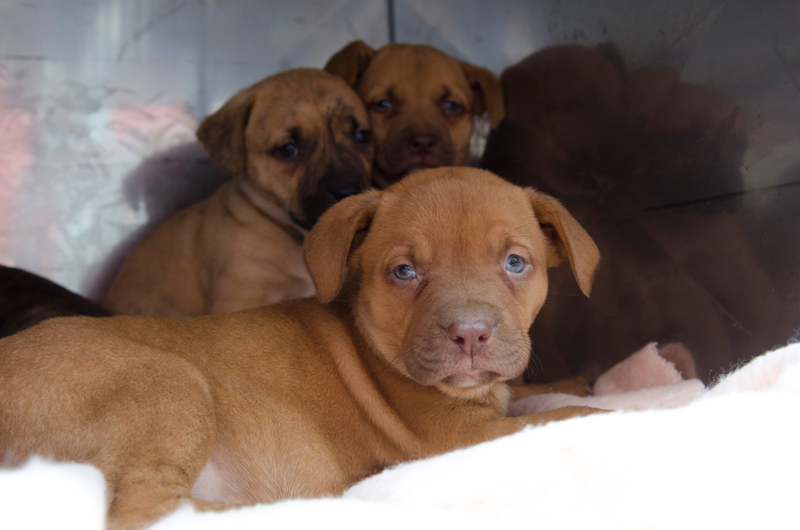 There was no shelter from the elements on the property; it is an absolute miracle that these puppies survived two snow storms and the unbearably cold weather without warmth or protection. Stray Rescue was ready to transfer all of the puppies into their system, but after seeing the medical care needed by all, the entire group of dogs were transferred. 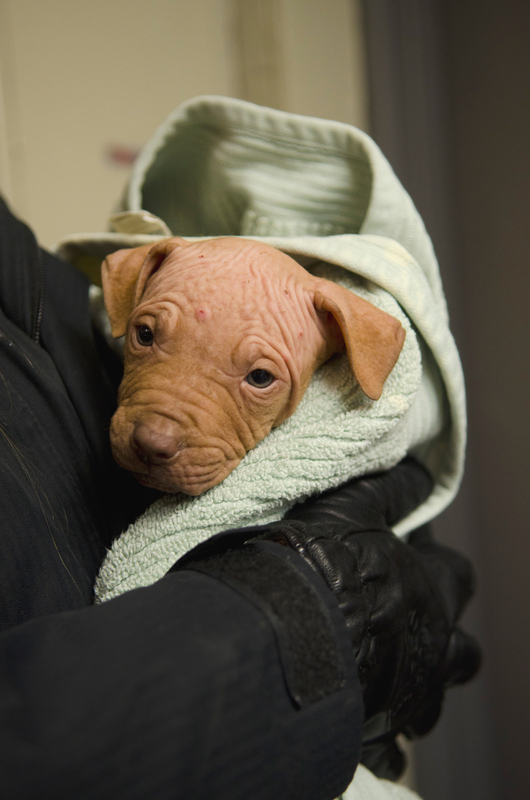 They all need our support as they undergo tests and desperately needed skin care. We are in dire need of financial support as well as foster families! These dogs have never known love or kindness. They shook in fear as we welcomed them into our arms, but they are already slowly warming up to their new surroundings. Foster families will save them from a life of fear and show them what it is like to be loved, respected, and cherished. Please make DONATIONS here! Every dollar will help, and no donation is too small! 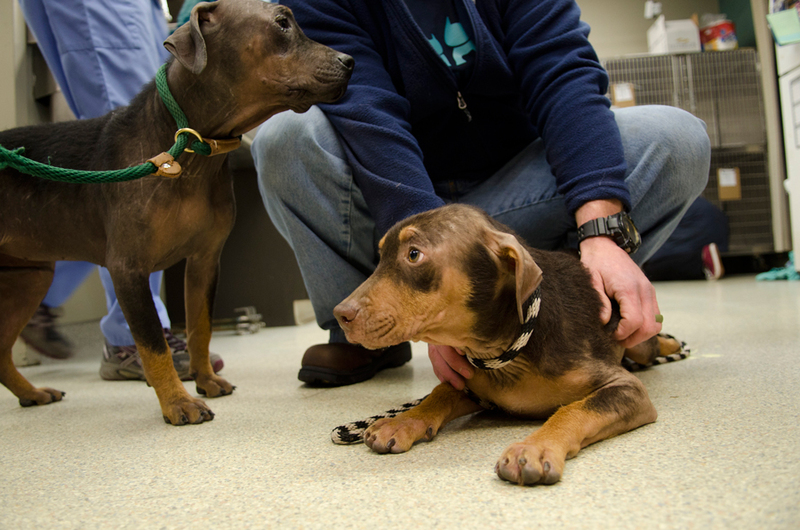 Let’s show them the Stray Rescue way and welcome them with generosity and care!